BUENOS AIRES — The Metropolitan Cathedral where Pope Francis presided over the archdiocese as Cardinal Jorge Bergoglio is filled with worshipers at the 11:30 a.m. Mass on the last Sunday in April. Fourteen young men are being accepted as candidates for Holy Orders, and it is a time for singing and applauding – and smiling. The election of Pope Francis has sent a new spirit into the Catholic Church. In a 2013 Gallup Poll in 18 countries, 70 percent of Latin Americans, including 82 percent of Catholics, said Pope Francis will bring positive changes to the Catholic Church. 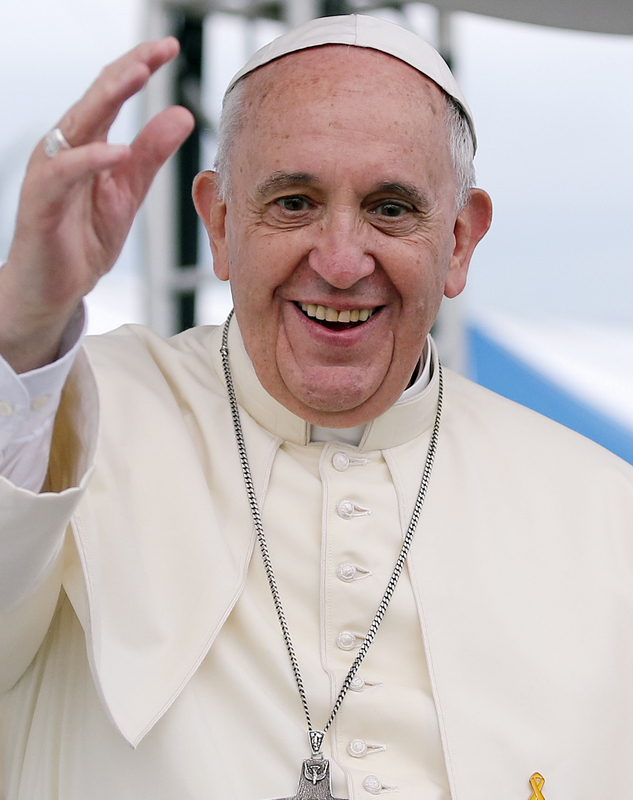 A February Pew poll found 90 percent of U.S. Catholics have a favorable view of the pope; six in 10 Protestants and two-thirds of the religiously unaffiliated also view him favorably. — Washing the feet of a young Muslim woman at a Holy Thursday Mass. — Raising the issue of whether divorced Catholics may receive Communion without an annulment. Just this past week, the pope said it is “pure scandal” that women earn less than men for doing the same job. But what has been the impact on the ground, and what are the prospects of a makeover for a church that often measures changes in terms of centuries rather than days and months? Many of the people who know Pope Francis best, leading Latin American journalists, scholars and religious leaders, discussed the “Pope Francis effect” at a late April meeting at the University of Buenos Aires. The Conference on Religion and Journalism in Latin America was sponsored by the International Association of Religion Journalists with support from the Companhia Brasileira de Metalurgia e Mineração (CBMM, a mining and metallurgical company based in Brazil). Several words of caution were voiced about the ability of any individual to make immediate changes in a global institution of more than 1.2 billion people. Sociologist Fortunato Mallimaci of the University of Buenos Aires said factors such as the rise of secularism, the passing of authoritarian regimes and a more wary approach to organized religion mean the Catholic Church no longer has the same influence and most-favored status in cultural and political dialogues. The pontiff can welcome gays and promise accountability for those who cover up or commit crimes of sexual abuse against minors, but such overtures will only have meaning if they are implemented by church leaders throughout the world, said Mallimaci, a leading authority on religion and politics in Latin America. His biggest challenge, de Vedia said, will be to convince the rest of the church to work with him in promoting change. And journalists and scholars said there is still significant opposition to his bridge-building efforts across religious divides from both neo-Pentecostal groups that are a growing presence in Latin America and Asia and conservative Catholics who are distrustful of one another. That said, scholars, religious leaders and journalists already see signs Pope Francis is making a difference. On an international scale, they note Pope Francis has been an influential voice speaking out on issues from the Syrian conflict and the Armenian genocide to helping the U.S. and Cuba restore relations. He is scheduled to address the United Nations Sept. 25. The World Council of Churches sees Francis as a powerful ally and co-worker in lifting up issues such as climate change and environmental justice, said Marcelo Schneider, communications liaison for Latin America to the council. “He’s a spokesperson for broader communities, not just the Catholic Church,” Schneider said. Within the church, Pope Francis already has made a clear change of direction with his vows and actions to address issues from sexual abuse to the financial practices of the Vatican Bank, some observers said. The biggest legacy of Pope Francis is “it’s a more transparent church,” said Augusto Dos Santos, a prominent radio and print journalist based in Paraguay. Still, predicting the future is difficult. Any measurable changes such as increases in Mass attendance may take years as new practices and attitudes are able to filter down to the pews. But in a time when church leaders must be persuaders rather than rulers, some see the real possibility of major changes not seen since the Second Vatican Council in the early 1960s. His genuine faith and his agenda of reform and renewal that places pastoral concerns over judgmental attitudes are connecting with people, Catholics and non-Catholics alike. What there was a consensus on among people who have known Pope Francis for many years is that he is the real deal. His simple lifestyle, his concern for the poor and his desire to reach out to all people are no marketing ploys. The Bergoglio they knew was low-key, hesitant to draw attention to himself. He had to be persuaded by Rubin and co-author Francesca Ambrogetti to allow his picture to be taken for their book. After many takes, the photographer “finally got something that resembles a smile,” Rubin recalled. In Buenos Aires on this late April Sunday, no one in the cathedral has to be prompted to evoke a smile at the celebration of the expanding priestly pipeline. Archbishop Mario Aurelio Poli, the pope’s handpicked successor, and the candidates smiled and patted each other on the back as they hugged one another. A sustained standing ovation followed.